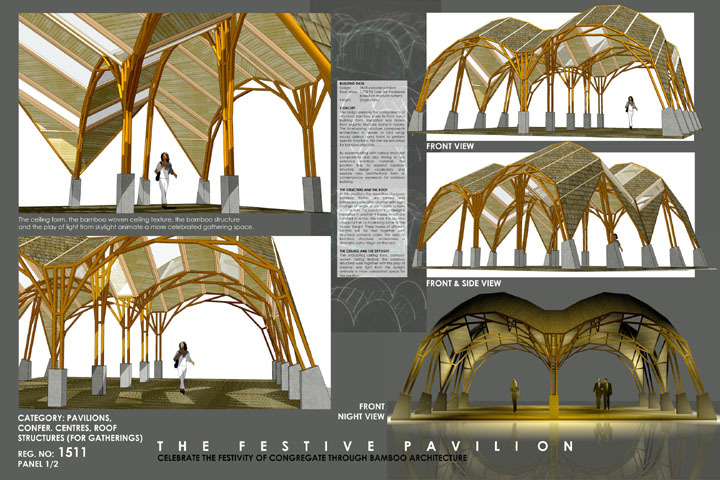 Triangular bamboo frames are connected to each other with a slight change of angle in order to form a curved truss. 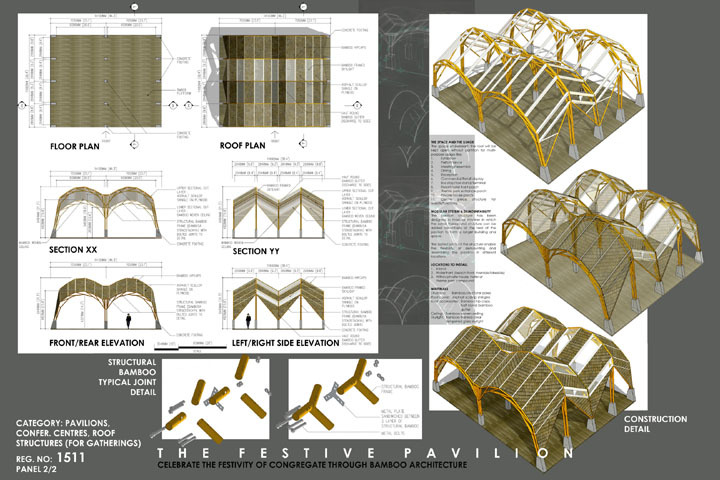 The bamboo truss is repeated and installed with height changes to form a dynamic design. The modular nature of the truss allows for expansion of the building simply by adding more trusses.